Some time ago I was fortunate enough to receive a kiss from a lovely girl I was very much interested in at the time. I recall the kiss as having a soft, delicate sweetness about it yet with the hidden presence of a deeper passion that could potentially be unlocked with the passage of time. For me, if this “kiss” could be bottled, it would take the form of the Springbank 15 Year Old. Upon nosing I get notes of honey, brown sugar, vanilla, port and a slight smell of cocoa. The sherry influence is quite clear upon the first inhalation. Upon tasting, the most prevalent characteristic is the balance (which is excellent). The vanilla from the nosing is present along with butter, and a hint of salted chocolate as it reaches the back of the mouth. The finish ended a little too soon (much like the kiss) but it was nonetheless pleasant while it lasted and the memories lingered. Overall, I feel this is a wonderfully balanced whisky that would be the sort of thing I could wind down to after a long day at work or on the road. I would recommend this to someone who is interested in the Campbeltown or Islay regions, but not quite ready to tackle a peat monster. 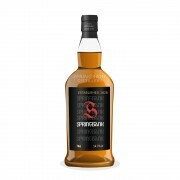 This is actually the first Springbank I have tried so I am very interested in tasting some of their older expressions – I feel with a little age the character and complexity of the scotch would turn what is a very pleasant experience into a very memorable drink (and for the record if the older Springbanks are similar to the subsequent kisses from the aforementioned lass I will be a very happy man indeed). Seems like a wonderful kiss. With just a lower score. But we all have our own scales. Nice review nonetheless! I never had a Springbank so far, but I am looking forward to taste this one.